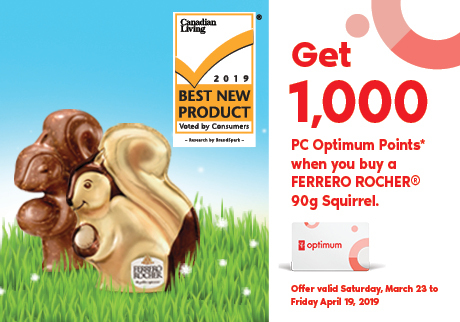 Get 1000 PC Optimum Points when you buy a FERRERO ROCHER® Easter Hollow Squirrel 90g! 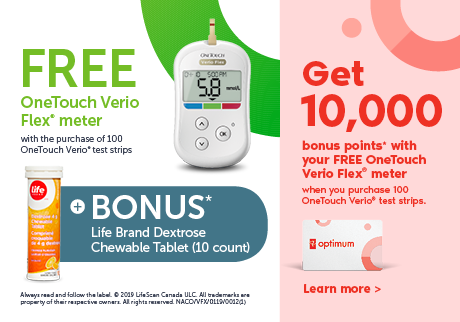 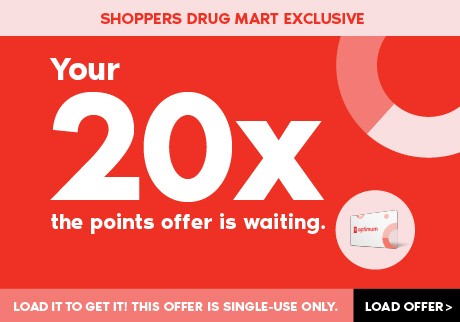 Offer valid from Saturday, March 23, 2019 to Friday, April 19, 2019. 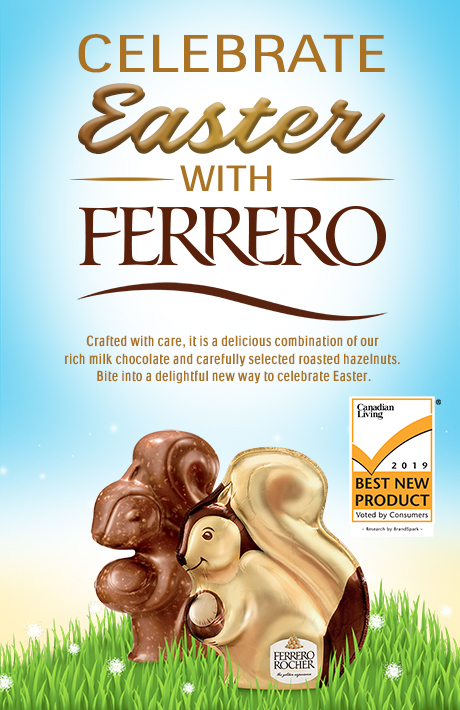 Bring JOY to Easter with KINDER® JOY! 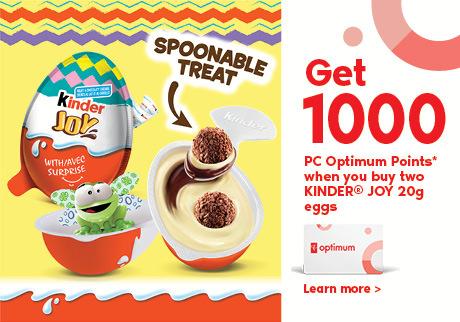 Get 1000 PC Optimum Points when you buy two KINDER® Joy Easter 20g eggs until April 19 2019.